Exploring the Play-Doh Nature of Node-Red -------------------------------------------------------------------------------- Sometimes, to understand a complex topic you make a simple model. Node-red, a graphical flow-based programming environment, makes it easy to model certain types of complex systems. In this talk we look at a model from the process industries and how node-red is versatile, robust, and squishy. Like Play-Doh. Speaker - Dennis Dunn -------------------------------------------------------------------------------- Now in his third career as a software engineer, Dennis has written for academia, the health-care industry, collections companies, product development companies, and print shops. He’s written production code in languages that no longer exist as well as some more obscure tongues such as TCL. Dennis is a serial hobbyist, his current interests are music production and software defined radios. Other things he’s dabbled in are robotics, large model rocketry, and ham radio. Dennis helped Jeff Miller found WorldVax.org, an open-source project to create a mobile immunization information system. Code Checkup: Tools to check the health of your code. -------------------------------------------------------------------------------- Over time even the simplest project can grow into an unwieldy beast. Features are added and removed. Developers come and go. Using static analysis tools we can get an idea about what challenges are in store for us. We will discuss how ReSharper, SonarQube and other tools can be used to expose any issues that may exist in our code base. This can help provide a fresh set of (computer) eyes to help keep your code base healthy. Speaker - Doug Mair -------------------------------------------------------------------------------- Doug is a Director of Consulting at Improving Enterprises in Columbus Ohio. He started developing software as a high school freshman on a TRS-80 16K. He loved programming so much that he decided to get a degree in programming from Ohio State University. Since then he has developed software for Graphics Kiosks, Rules Engines, Specialized Hardware and ASP.Net websites. 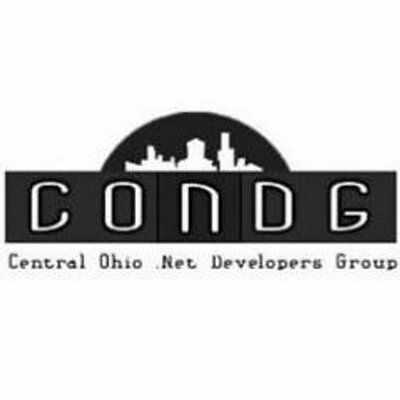 Over the last several years, he has helped grow the Windows Developer Community in Central Ohio. He spends his free time developing Windows applications and Unity games. Health: The Most Important Tech Tool -------------------------------------------------------------------------------- Working in the tech industry often involves spending long hours sitting down, staring at a screen, consuming copious amounts of pizza and caffeine. The work is mentally demanding and can be stressful. In the rush to get everything done, it can be easy to neglect our health. But a healthy body and mind are necessary for effective performance. Based on HR training, research, and personal experience, this session provides realistic suggestions for managing your well-being at work. It covers the connection between physical and mental health, as well as how to discuss these topics with your employer. You’ll leave with a better idea of how to take care of yourself and be a happier, healthier, more productive person. Speaker - Cassandra Faris -------------------------------------------------------------------------------- Cassandra Faris is passionate about the human side of technology. Her career has focused on supporting tech professionals through community outreach, hiring, mentoring, and employee engagement. She is an international speaker who specializes in teaching people how to be more effective team members and advance their careers. She is also the President of the Microsoft and open source conference, DogFoodCon, and a Per Scholas Advisory Board member. She has an MBA in Organizational Leadership. When she's not busy with the tech community, she is avid tabletop gamer, runner, and soccer fan who travels as much as possible. Lightning talks are very short presentations on a topic of your choice (must be related to .NET). Talks should be 15-20 minutes in length and include minimal slides and quick demo (no live coding please). There will be 6 slots available! First come, first serve! To register email [masked] with your name and topic.